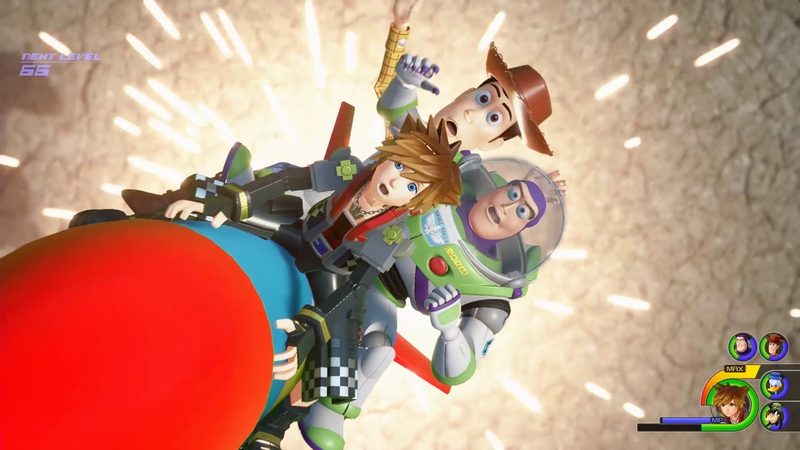 Kingdom Hearts 3 is finally here, and underneath that cute Disney veneer there’s a deep, fully-fledged RPG. Here’s our tips for mastering its systems. The thing about Kingdom Hearts as a series is that it can be disarming in its charm and whimsy. You’re so busy thinking about and enjoying jaunts through familiar Disney worlds with equally familiar characters that it can be easy to forget some of the deeper aspects of the game. That isn’t helped by the fact that KH3 layers features on you thick and fast, one after the other, layer after layer. The combat lends itself to mashing through it and simply spamming heals, but if you’re smart and really pay attention there’s a lot more to this series than that – and KH3 features the most accomplished combat and RPG credentials of the series to date. On this page, we present some tips of features to pay particular attention to and things to consider as you get stuck into this, the ultimate adventure for Sora, Donald and Goofy. Let’s get down to it. One major new addition for Kingdom Hearts 3 are special attacks, unique moves that can be triggered by wailing on enemies and building up combos. These attacks take a lot of different forms; sometimes they’re team-up attacks with your party members, sometimes they see you hop into a Disney theme park style attraction ride, sometimes they involve swapping your keyblade forms and many are also context sensitive depending on your location and situation. When a special attack appears, it pops above your battle action menu with a timer, and an instruction to hit a button (Triangle or Y) to activate it. In some situations, you might even notice that you have multiple special attacks available, and that’s where this hint comes in to play. Firstly, remember you can choose between attacks. When more than one is available to you, hit L2/R2 or LT/RT, depending on your platform – that’ll switch between the available skills, with the one you’re set to activate highlighted brighter. Second, once you’ve launched a special attack, don’t just mash it out no matter how tempting that might be. Some of these attacks look like mash-fests (such as the Pirate Ship or the Toy Story rocket attack), but they’re actually more devastating if you pay attention and input the commands with good timing, or aim more carefully. Master these two aspects of your special attacks and you’ll have a much easier time in combat, even on higher difficulties or if slightly under-leveled. It does feel like the teams behind Kingdom Hearts 3 and Final Fantasy 15 were peeking at each other’s notes at least a little bit, and one major system that the two have in common is cooking and eating. 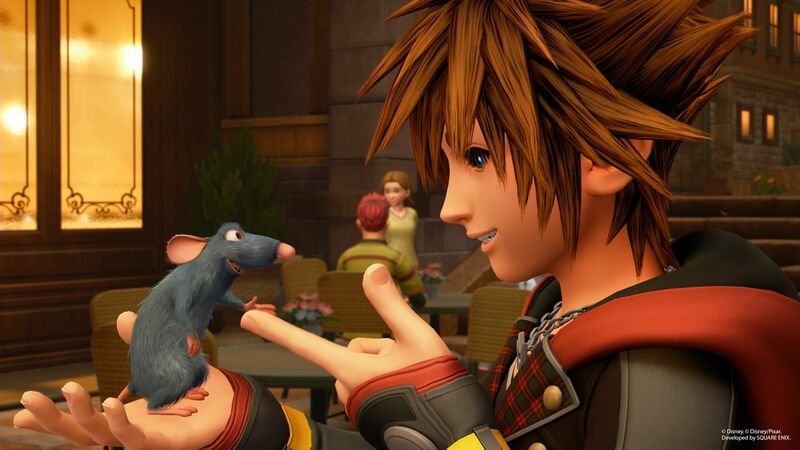 In KH3 it’s all driven by Remy from Ratatouille, who you’ll meet very early on in the game once you’ve played through the first tutorial world. Once this system is unlocked, you should be using it constantly. Ingredients can be found out in the world, both growing wild and in takeaway fast food style boxes that you can slap with your keyblade to shake the contents out. Ingredients can also be picked up from the Moogle shops you’ll find in hub areas and near many save points out on your adventures. Grab all the ingredients you can. Some food can also be straight-up bought, too, though that is less economical. You’ll need to return to Twilight Town in order to cook at the Bistro, but it’ll be worth it. Each meal has a little mini game attached, and then you can store meals in your inventory and consume them as needed. Stock up, then eat to get buffs to each of your core stats – Strength, Magic, Defense, HP and MP. Cooking often will also net you some extra bonus rewards from Uncle Scrooge, too. A good, traditional meme among Kingdom Hearts players is how useless Donald is at healing you when you really need healing, often leaving Sora to die an untimely death. 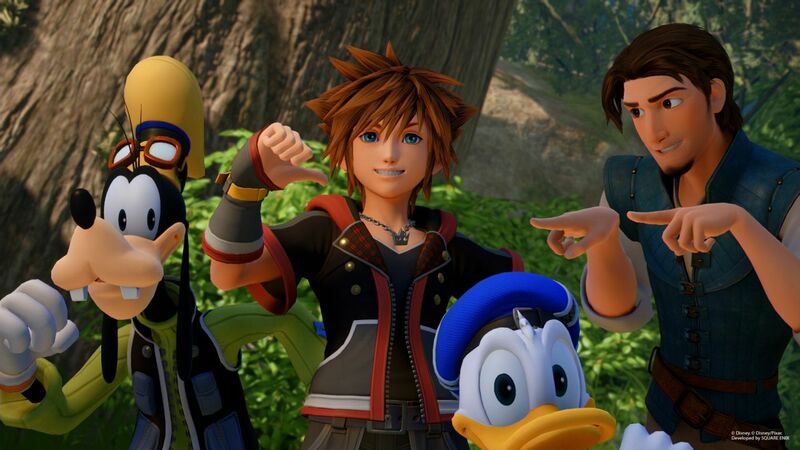 Donald is just as much of an idiot in Kingdom Hearts 3, but something well worth keeping in mind is that you can have a good amount of control over your party members – and so it’s well worth diving into the menus and adjusting beyond the default. MP melts away pretty quickly in Kingdom Hearts 3, and you may not always want to spend your precious, hard-earned Munny on curing items – and as a result you might sometimes find yourself with your back against the wall and very little health with enemies getting dangerously close to you. If this happens, consider a Link attack – the KH3 equivalent of summons. 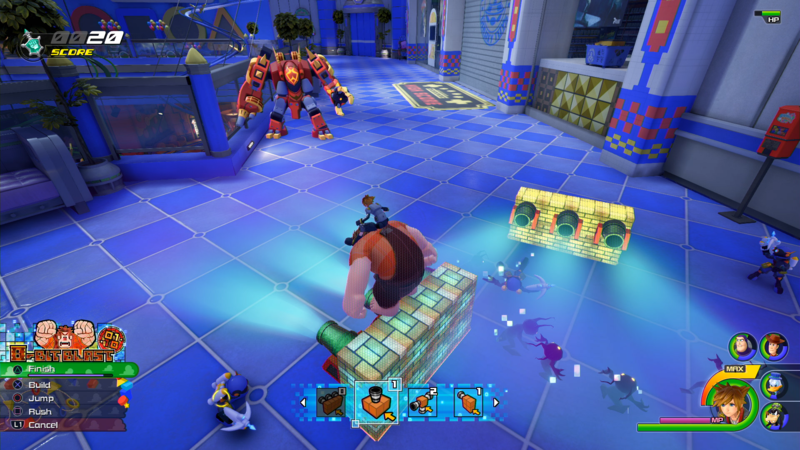 Link attacks summon a unique character for a special attack that resembles the other specials in the game – though these are more custom, and feature character cameos from the likes of Simba and Wreck it Ralph. Here’s the rub, though: using a link attack fully restores Sora to full health, making it a really handy move to hold back and then use in a pinch. It’s a free heal, and it’ll dish out a bunch of damage besides if you use the attack correctly. 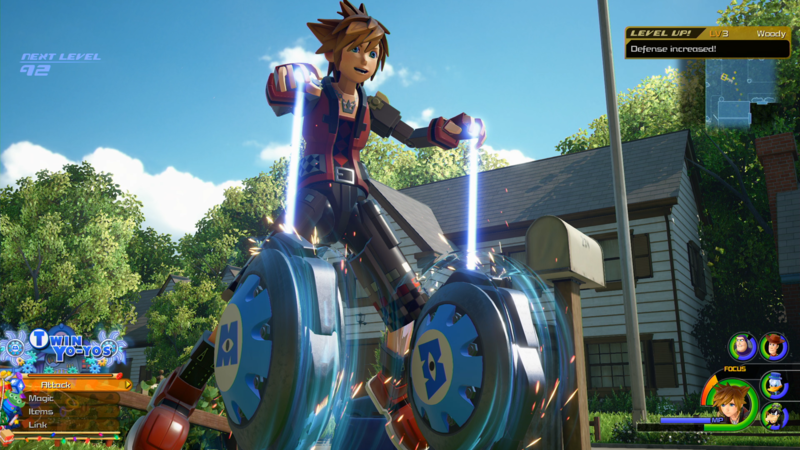 In Kingdom Hearts 3, Sora can now equip three different keyblades at once, switching between them with a little tap on the D-Pad. By the time you finish your second full-blown world in KH3 you’ll have access to more than three keyblades, however – so what then? Well, don’t just consider each individual keyblade’s strengths and weaknesses alone. Instead, consider how your trio of weapons mesh together as a full load-out. What I mean is this – while the keyblade is a melee weapon, some will be suited up close for brute force, while others will be better for faster mid-range combos. Others might be more suited to casters – and then of course you’ve got the transformations, special moves and finishers associated with each blade. Plan carefully and consider how your weapons of choice work together, and when you settle on a set that works for you, begin to upgrade them by using the Workshop feature at the Moogle shops. This will cost resources, but is well worthwhile in the long run. 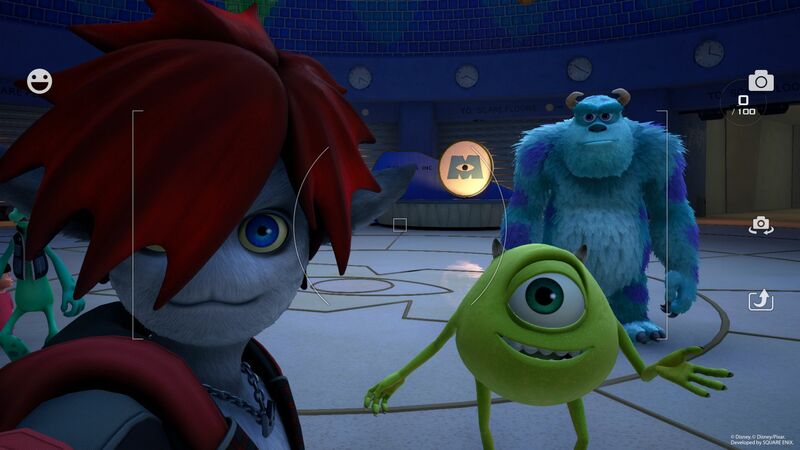 Once you reach Twilight Town early on in Kingdom Hearts 3, you’ll be introduced to a new mechanic for the game (and again, one also found over in Final Fantasy 15) – the camera on Sora’s new gummi phone. This device can obviously be used for photo mode shenanigans, and KH3 has a great little selfie camera that even has some great reactions and poses from party member characters baked in – it’s a fun feature to play around with in its own right. This isn’t just a cute time-waster, however – you’ll want to use it! For one, the Moogle store workshop for keyblade upgrades also has a section where you can ‘inspire’ the Moogles with photos from around the world. They put in requests, and if you photo the required thing they’ll reward you. This is well worth doing, as the rewards are significant and the tasks all relatively easy. On top of this, photos taken with ‘lucky symbols’ are key to unlocking the Kingdom Hearts 3 secret ending – as hinted at when you first unlock the camera feature.